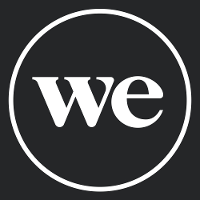 The Member Experience mission at WeWork delivers experiences that create intelligent spaces & connected, consciously-engineered communities to make people happier & more productive at work. Having a strong software engineering skill set is critical to this role. You will build scalable infrastructure, develop advanced algorithms, & deploy solutions in a production environment. Your final output will be working software components & your audience for this output will often consist of other software components that run autonomously with minimal human supervision. Partner with Product, Design & Data teams to drive feature development end-to-end. Design, develop & deploy components of our ML products & platforms for feature engineering in production environments. Develop platforms & microservices for machine learning, optimization & experimentation. Actively contribute to sprint planning & product roadmaps. Experience applying standard implementations of machine learning algorithms & effectively choosing suitable models, e.g. regression, nearest neighbors, neural networks, ensemble models. Fluency in one or more backend languages, with experience in Pythonor Scala a plus. Ability to work in a fast paced, evolving, growing & dynamic environment. Demonstrated personal initiative & strong ownership of deliverables. Ability to explore new ideas & have a passion to make them happen.